Facebook announced on Friday the appointment of former UK deputy prime minister Nick Clegg as its new VP for global affairs and communications. Clegg has expressed virulent opposition to US President Donald Trump, joining a demonstration against Trump when he visited the UK in July. Clegg’s public views about Trump come after the president has attacked Google and other tech firms over what he sees as a liberal bias. Facebook produced a surprise on Friday when it announced former UK deputy prime minister Nick Clegg as its new VP for global affairs and communications. Clegg was leader of centrist party the Liberal Democrats and served alongside Prime Minister David Cameron in Britain’s coalition government between 2010 and 2015. As a heavyweight politician who has spent years in the public eye, his views on many subjects are well known. This means he carries a certain amount of baggage with him as he starts his new role at Facebook next Monday. 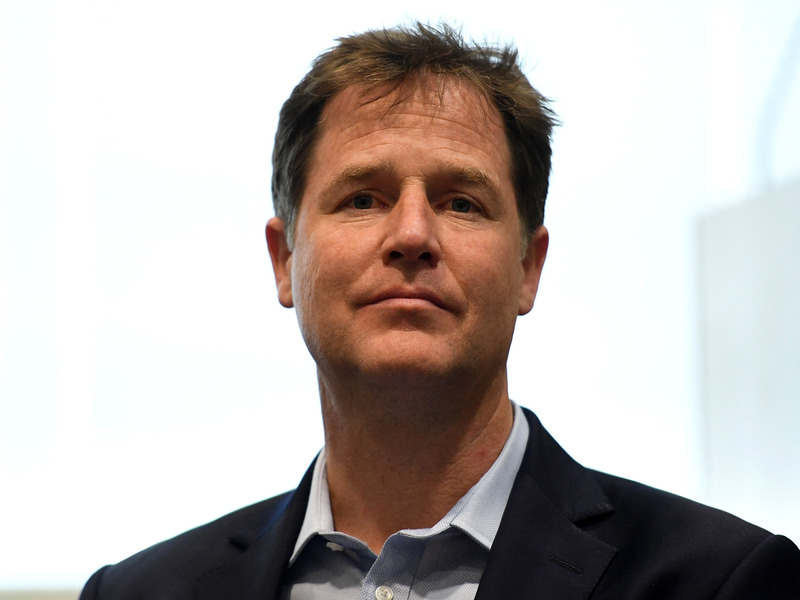 Recently, Clegg expressed is opposition to US President Donald Trump. In a tweet from July, Clegg explained why he was joining the anti-Trump protests taking place in London during the president’s visit to the UK. The views are even more potent when you consider how senior Clegg will be at Facebook. He will report into COO Sheryl Sandberg and has been charged with bringing an outsider’s perspective to CEO Mark Zuckerberg’s tight-knit inner circle. It also comes at a delicate juncture in Silicon Valley’s relationship with Trump. The president has recently accused tech firms of left-wing bias. In August, for example, he erroneously accused Google of rigging search results to produce negative news stories about him. Facebook and politics have become increasingly entangled over the past 12 months. Facebook showed press inside its election “war room” this week, which it built to snuff out misinformation during the US midterm elections. “Facebook, WhatsApp, Messenger, Oculus and Instagram are at the heart of so many people’s everyday lives – but also at the heart of some of the most complex and difficult questions we face as a society: the privacy of the individual; the integrity of our democratic process; the tensions between local cultures and the global internet; the balance between free speech and prohibited content; the power and concerns around artificial intelligence; and the wellbeing of our children.